Perhaps the question is no longer if Obamacare will wreak havoc on the American economy. Instead, the query seems to have morphed into something far more dire and prophetic: Just how much chaos will the law inflict upon the American people, businesses, and the economy? Many wonder, too, if the law will actually improve the country’s health care system. The law is having a rough spring, with criticism coming from its own architect, job creators worried about health care mandates, and science itself. Formally known as the Patient Protection and Affordable Care Act, Obamacare should be fully phased in by Jan. 1, 2014. As the date creeps up on the federal government, some, including the point man behind the law, grow nervous about implementation. Baucus predicts a “train wreck” if HHS botches Obamacare implementation. “I just see a huge train wreck coming down,” Montana Democratic Sen. Max Baucus, the politico who spearheaded the reform effort, told Health and Human Services (HHS) Secretary Kathleen Sebelius at an April 17 hearing. The now-retiring Baucus expressed grave fears that HHS isn’t adequately prepared to administer the complex law. Republicans quickly pounced on the Democrat’s words, saying his admission is an early sign of the law’s failure. Democrat Senate Majority Leader Harry Reid, of Nevada, affirmed Baucus’ position two weeks later, warning that the federal government must have adequate resources to set up the law and educate the public about its benefits. Any taxpayer-funded public relations push would have to perform mightily to match the negative anti-Obamacare vibes spilling out of America’s private sector. Job creators routinely forecast dire effects they believe the law will have on hiring. What Washington mandated is this: Businesses with more than 50 workers must offer health insurance to employees who work 30 hours a week or more or face a significant penalty. Some large businesses are already adjusting to cope with the requirements. Regal Entertainment, the nation’s largest cinema purveyor, announced last month that it would cut hours to avoid paying the penalty or providing insurance. A Regal manager who asked to go unnamed told Fox News that Obamacare is drastically reshaping the job market — not in a good way. “It fosters a new business culture where 30 hours is now considered the maximum in order to avoid paying the high costs associated with this law,” the manager said. A UC Berkeley Center for Labor Research and Education study released recently reveals that Obamacare puts more than 2.3 million low-wage workers at risk of losing hours. Large businesses might be able to cope with the law, but some worry that small businesses will suffer irreversible damage. Marcus said he worries that copious government mandates — particularly those in the health care law — will burden small businesses and halt growth. It’s a common belief. Each quarter, the U.S. Federal Reserve publishes its Beige Book, essentially a document taking the temperature of the American economy. The report outlines the uncertainty surrounding Obamacare. “Employers in several districts cited the unknown effects of the Affordable Care Act as reasons for planned layoffs and reluctance to hire more staff,” the report explains. How disastrous has spring 2013 been for President Barack Obama’s health law? Consider that less than a month ago, the United Union of Roofers, Waterproofers, and Allied Workers, an early Obamacare supporter, called for its repeal. “In the rush to achieve its passage, many of the act’s provisions were not fully conceived, resulting in unintended consequences that are inconsistent with the promise that those who were satisfied with their employer-sponsored coverage could keep it,” the group wrote April 16. 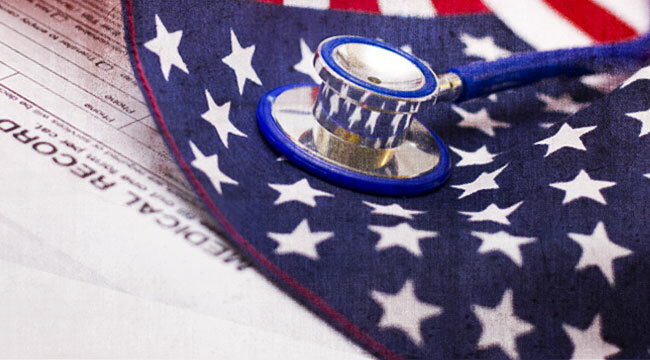 Politics and jobs asides, many still wonder how effective the massive overhaul will be in improving health care and controlling exploding costs. Americans have relatively low expectations on the topic. A March 2013 Kaiser Family Foundation health tracking poll said that 55% of respondents believe Obamacare will not stop rising health costs. Asked if they believe the health law will improve the quality of care, 45% of survey takes said no. Medicaid expansion, a vital component of the overhaul, sustained a serious blow last week. As part of Obamacare, millions of Americans will join Medicaid, thanks to expanded eligibility. A newly released study out of Oregon, though, revealed that while the Medicaid helps people pay their bills and avoid depression, it does little to actually improve the health of program participants. At least 28 states will expand their Medicaid programs, while 20 others, mostly red states, declined to swell the ranks. The other three are still weighing their options.